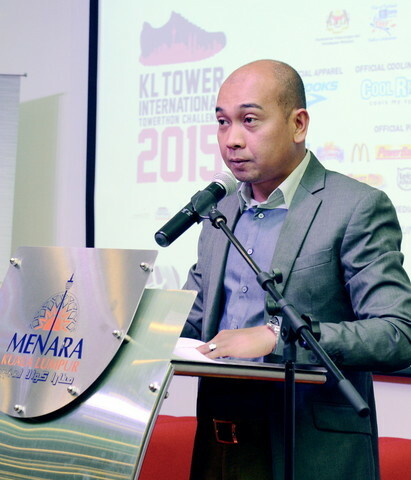 KUALA LUMPUR, May 7 (Bernama)-- The winner of the closed category (Malaysians) in the KL Tower International Towerthon Challenge 2015 on May 17, will receive a cash prize of RM2,000. HULU TERENGGANU, May 5 (Bernama) -- Approximately 2.6 million people or 15.2 per cent of the population in the country suffer from diabetes. KUALA LUMPUR, May 5 (Bernama) -- The World Fire Fighters' Day 2015 was celebrated in Malaysia today in a spirit of preparedness in facing disasters and focusing on boosting the quality of service. PUTRAJAYA, May 5 (Bernama) -- Some 650,000 staff and students of 20 public universities nationwide can now enjoy a range of facilities and benefits offered via AirAsia's 'Waran Perjalanan Udara Awam' (WPUA). KUALA LUMPUR, May 5 (Bernama) -- Generally, Malaysians are not hands-on, in as far as the hygene of the hand is concerned. HANOI, April 28 (Bernama) -- A traffic safety week focusing on children was launched in Vietnamese capital Hanoi on Monday, Vietnam News Agency (VNA) reported. PUTRAJAYA, April 27 (Bernama) -- All businesses involving the filling of posts including online examinations at the Public Service Commission (SPA) are via SPA only.